The industrial anchovy fishery off the Pacific coast of Peru is the largest single species fishery in the world. With average annual landings of between 8 and 12 million metric tons, this fishery represents around 10% of all global marine captures. This wild catch goes to produce fishmeal and fish oil to feed farmed fish in Europe and China. 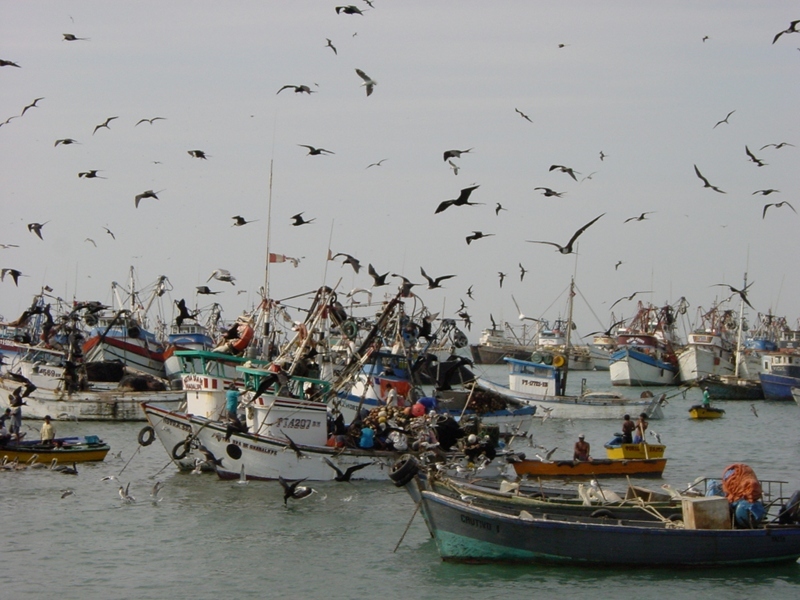 Though the guano system of the region has been protected by the Peruvian Government since 1909 for the extraction of fertiliser, the economic importance of the fishery has meant its negative impact on the marine ecosystem has largely been ignored. The once magnificent populations of anchovy predators – pelicans, sea lions, fur seals, penguins and dolphins – have suffered steep declines, and in just fifty years, the guano bird population has plummeted from 28 to 1.8 million – a decline of more than 95%. Overfishing of Peru’s marine ecosystem is having a negative impact on both wildlife and people. As anchovies have declined, so too has the resilience of their marine predators to survive El Niño, a periodic natural event when unusually warm, nutrient-poor seas cause a drop in fish availability. Conservationists fear that as El Niño events become both stronger and more frequent as a result of climate change, Peru’s already decimated marine wildlife will decline further. Local artisanal fisheries now struggle to survive because the large carnivore fish on which their trade depends are scarce. The discharge of industrial effluents from fishmeal plants is polluting the main breeding and nursing grounds of many important commercial species of fish and shellfish. Conservation scientist, Dr. Patricia Majluf, 47, has run the Punta San Juan Project since 1979, to understand the changing ecology of this important marine area. She is undertaking long-term monitoring and examining the interactions between wildlife and local fisheries by recording changes in catch size. Since 1996, Patricia has worked to establish Peru’s first network of marine protected areas through incorporating Punta San Juan and the other 34 islands of the guano reserve system into a national protected area framework. Through building capacity, raising public awareness, and working closely with both Government agencies and local fishermen, Patricia is working to bring an end to the unsustainable fishing practices which threaten both livelihoods and the region’s unique wildlife.